Biophillia – The innate tendency in humans to connect with the natural world and other forms of life. Want to bring the look of outdoors inside? 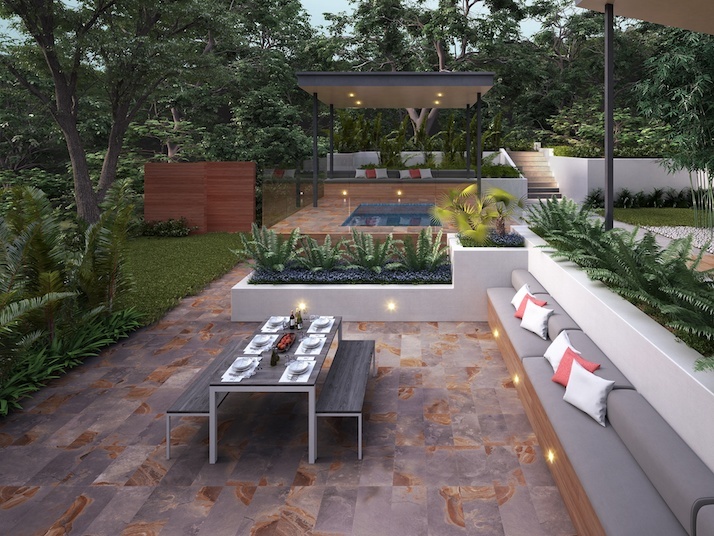 Porcelain tile and natural stone can easily extend across both indoor and outdoor spaces for a seamless, dramatic look. At the same time, we can transform our backyards with outdoor carpet and rugs to create unique and comfortable spaces. 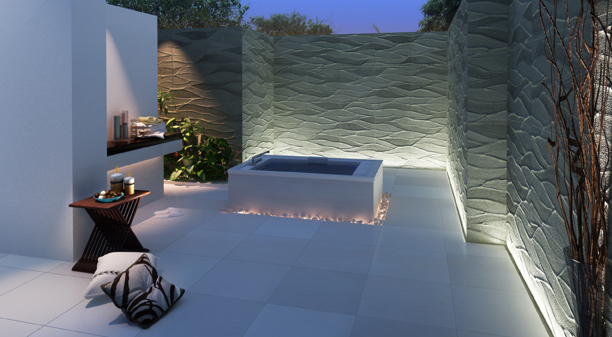 Because porcelain is resistant to freeze and thaw cycles, it can be used outdoors throughout most of the United States. Natural stone likewise has the ability bridge indoor and outdoor spaces effortlessly which means that your design choices no longer have to end at the back door. Instead, we're seeing more homes where the lines between indoors and out are beautifully blurred. 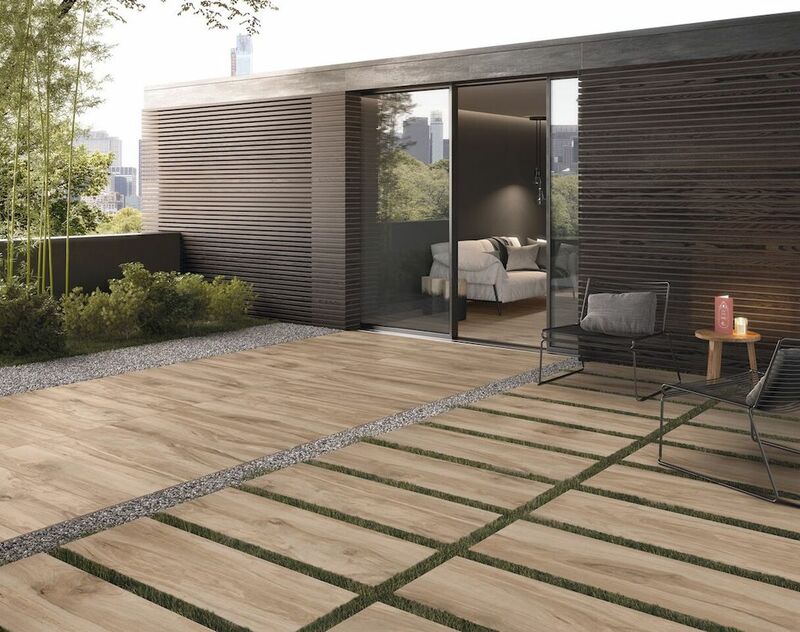 Now that we've created these beautiful outdoor spaces using some of the same flooring materials you'll find inside your home, it's time to make this outdoor spaces just as comfy and cozy. Today, we're seeing carpet and rugs specifically engineered for outdoor use (generally made of polypropylene and even woven vinyl which are naturally mold and mildew resistant) that easily coordinate with your existing patio furniture. Throw in a fire pit and you may never want to go back inside.